A gorgeous Belgian Ale brewed with Chamomile flowers. 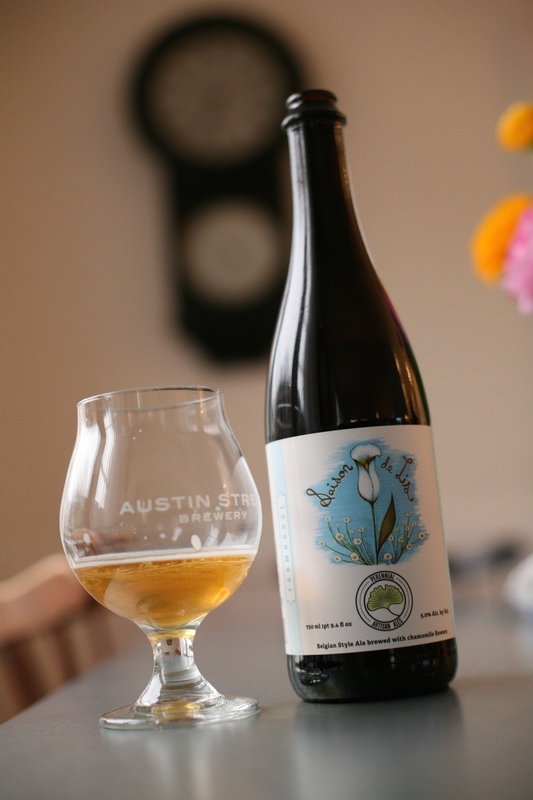 If you could drink a meadow, it might taste like this. When brewers add ingredients that might seem arbitrary – like chamomile flowers – the results can veer into novelty. That’s not the case with Saison de Lis. Perennial Artisan Ales crafted this delicately balanced Belgian saison with a slight French sensibility. Picture a field of chamomile stretching to the horizon, the sun setting on blonde hair, a waft of wheat in the air. The combination of the grassy Belgian yeast with the floral notes of the chamomile not only suggests the wonders of nature, it is a wonder of nature. The best beers envelope you with sensory impressions that don’t always hew to flavor and aroma – they build on a few ingredients to build something more profound; this one is in that category. Simple, sublime, and transcendent.